Main page » en-news » On June, 5, 2017 the 6th Coordination Council Meeting of the Scientific and Educational Medical Cluster "Translational Medicine"
On June 5, the 6th a meeting of the Coordination Council of the Scientific and Educational Medical Cluster “Translational Medicine” was held at the ITMO University. The event was attended by the cluster founders, representatives of the universities and the companies – the cluster participants. The cluster is aimed at getting together research activities, clinical practice and development of medical devices and drugs. Its main goal is creating new medications and biomaterials for medical purposes, samples of medical equipment, new diagnostics and treatment technologies as well providing for innovative development up to the stage of design projects and clinical trials. Prof. Evgeny Shlyakhto, the Chairman of the Coordination Council, Director General of the Federal Almazov North-West Medical Research Centre welcomed the participants. 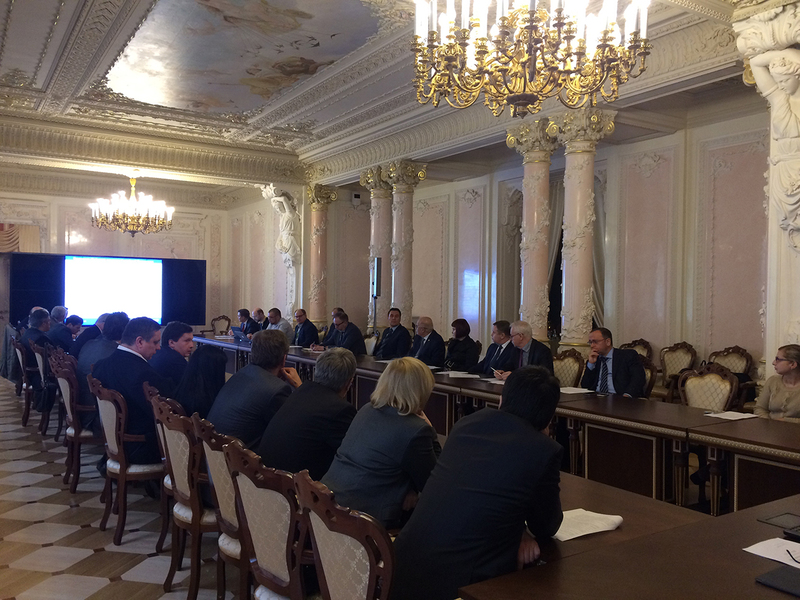 Prof. Vladimir Vasiliev, Rector of the ITMO University: “Priority project “The Smart City of St. Petersburg”: digital healthcare”. Dr. Alexandr Bukhanovsky, Director of the Mega-Faculty of Translational Information Technologies, Head of the Chair for High Performance Computing at the ITMO University: “Decision making support in urban health care: from Big Data to predictive modeling”. Aleksey Malikov, Head of the Office for Intellectual Property and Technology Transfer at the Federal Almazov North-West Medical Research Centre: “Results of the working group activities on setting up the Cluster management company”.